The Second Age: If McCain Had Been Elected... Would We Have a Climate Bill? If McCain Had Been Elected... Would We Have a Climate Bill? Allow me to posit an extremely radical hypothetical. If John McCain had been elected president in 2008, would the United States have its first federal law aimed at curbing greenhouse gas emissions? I might be crazy, and it pains me to say this, but I think the answer might actually be yes. Watching John McCain over the last year and a half has been terribly disappointing. 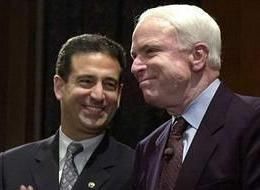 As soon as J. D. Hayworth threatened to challenge him in the Arizona Senate primary, McCain abandoned the "Straight Talk Express", abandoned many of his prior views and principles, and started positioning himself as an arch-conservative who supports a border fence, wants to extend Bush's tax cuts for the extremely wealthy, and scorns the notion of capping our climate pollution. Despite some of the most overt flip-floppage we've seen this year, McCain's strategy appears to have paid off with the GOP, as he trounced Hayworth in Tuesday night's primary. But what if he'd become president in January 2009? Presumably, he would have continued to espouse the views he'd held for most of his career as a moderate Senator. 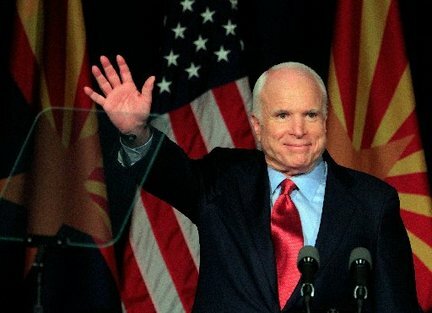 With overwhelming majorities of Democrats in both Houses, McCain may have been the moderate Republican the country needed to enact some of the most sweeping changes in Washington. I would contend that the Republican approach would have been very different from the current "do anything you possibly can to impede any and all Democratic legislation." They likely would have worked much more with their president, who in turn would probably have worked quite a bit with Democrats. It's unclear what the fate of the health care bill would have been—McCain was pretty consistently against the notion of mandated coverage throughout the campaign. But we likely would have seen a fairly similar financial regulations package. We may have seen a stronger, more effective and bipartisan legislative response to Citizens United (which partially nullified the McCain-Feingold campaign finance reform bill). And yes, I think we would see a climate bill that would have actually passed. Don't forget that John McCain was a co-sponsor of the Lieberman-McCain Climate Stewardship Act of 2003—one of the key Republicans at the forefront of the scientifically tenable side of the climate debate. And though he has since disavowed his views on the issue, his good friend Senator Graham championed it for much of the last year, until finally bowing to his belligerent base and acceding to the notion that preventing Democratic bills is more important than preventing disasters caused by climate change. But if McCain were president, wouldn't this be different? Sure, he would have put in some stipulations to guide the legislation, many of which would have watered down the relatively strong bill that came out of the House last year. But I don't believe he would have vetoed a bill that addressed many of the critical issues that he sought to address seven years ago. And I don't think the argument can be used that the bill would have never come up, because it wouldn't have been the President setting the legislative agenda, it would have been the Democratic leaders in the House and Senate. I think with McCain at the helm of the Executive, we would have seen much more willingness to support the legislation from people like Graham, Murkowski, Lugar, Collins, Snowe, and others. This is probably a blasphemous thought experiment for progressives, and I'm not saying I wish we'd elected McCain; I'm just saying that the legislative opportunity for a greenhouse gas abatement mechanism might have actually come to fruition in a McCain presidency. 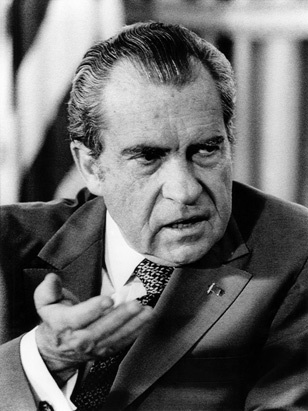 Let's not forget the important progressive accomplishments that President Nixon made with Democratic majorities in the House and Senate: the establishment of the EPA, the Clean Air Act Extension of 1970, the Federal Water Pollution Control Amendments of 1972, normalization of relations with China, and a détente with the Soviet Union. Of course, all this is to say nothing of the terrible things that happened under Nixon, but my thought experiment doesn't extend to the bad neo-conservative policies that a President McCain may have succeeded in pushing forward. I'm confused why conservative legislators would be more reasonable under a republican president than a democratic one. I'm talking Murkowski, Graham, Lugar, Snowe, etc. Not Inhofe, DeMint, and Coburn. Extreme conservatives will never go for a carbon reduction mechanism. But the more moderate Republican Senators above have all supported such legislation in the past, and are largely not doing so now because of the overall Republican strategy to win votes in November by proving the Democrats to be ineffective.